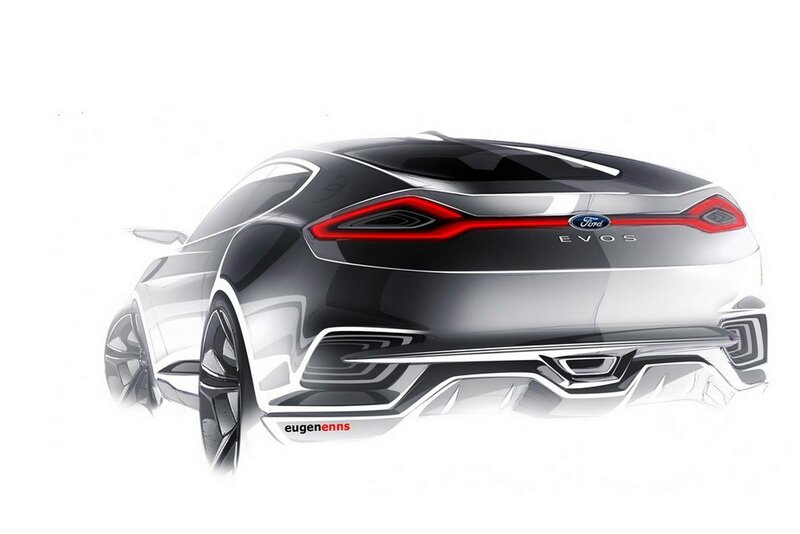 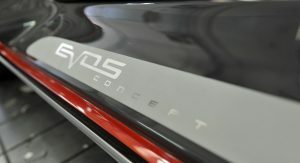 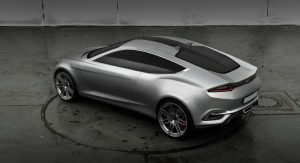 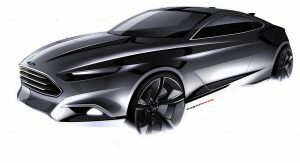 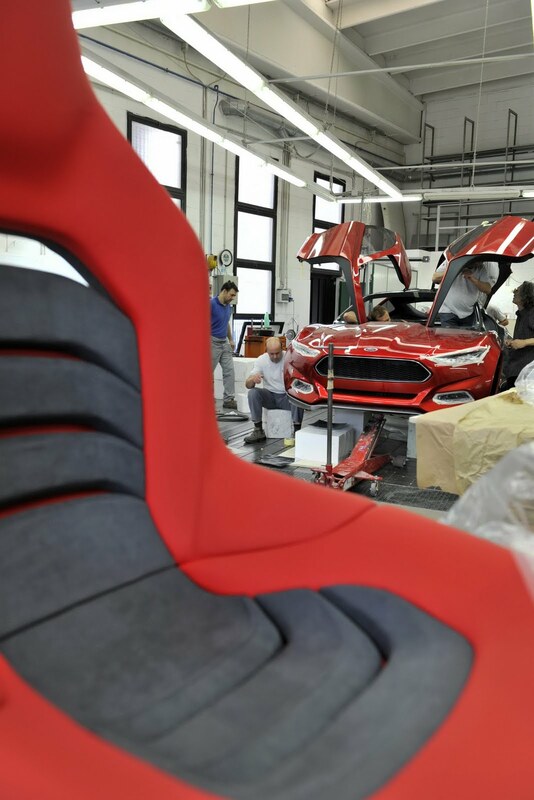 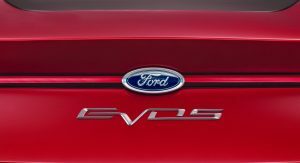 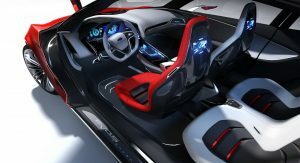 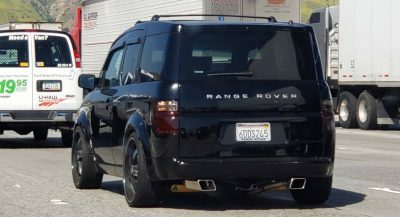 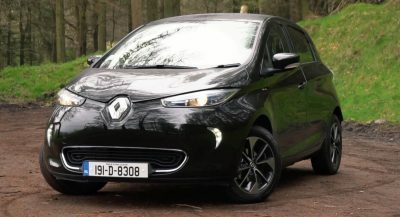 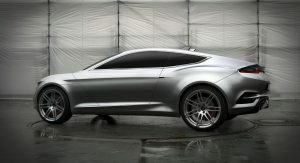 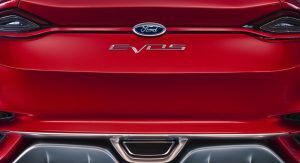 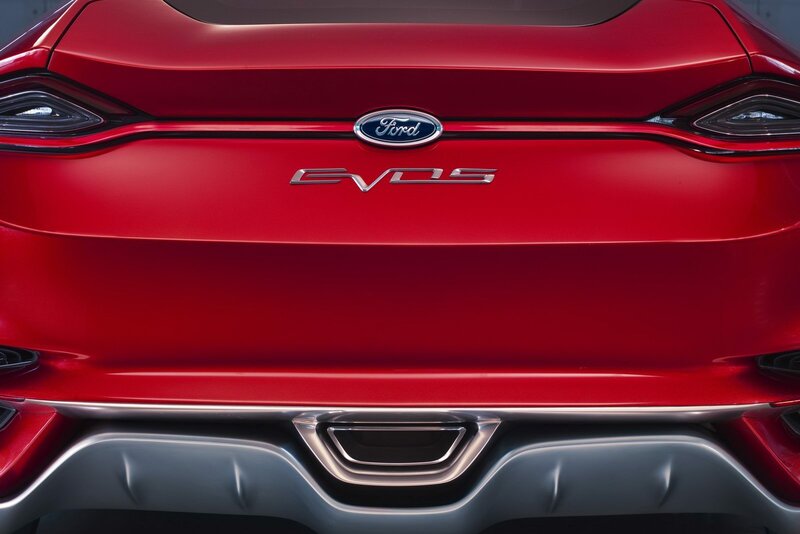 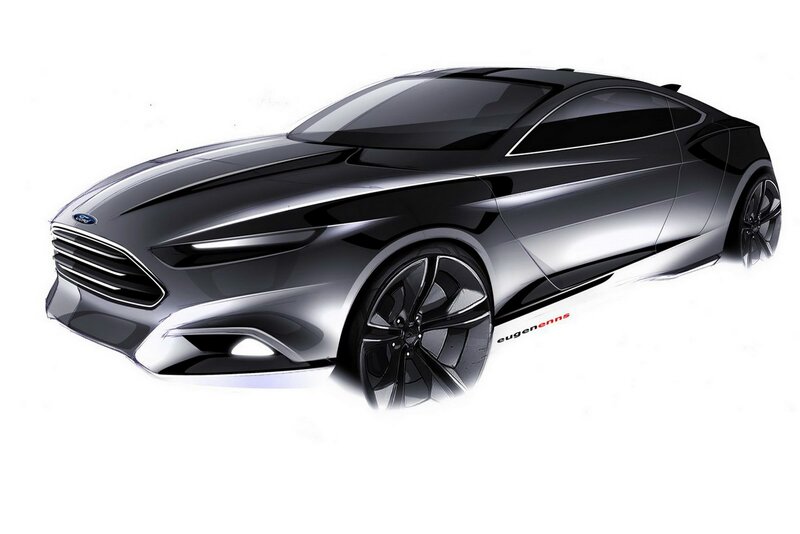 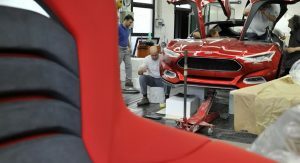 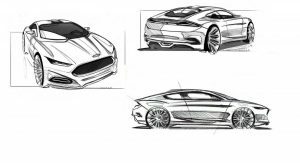 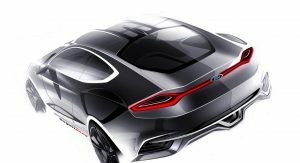 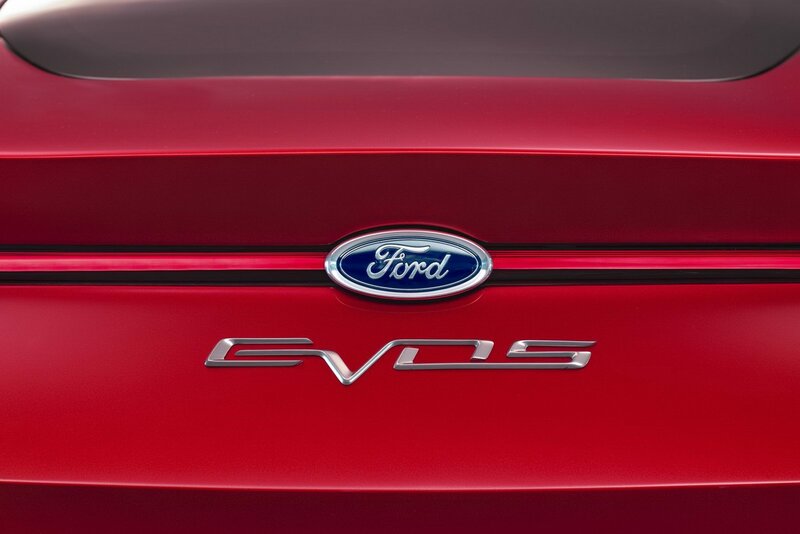 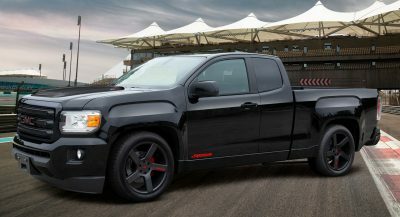 According to automaker, the Evos’ signature styling will form the basis for the next generation of Ford cars, minivans and crossovers, with the first actual production car to feature the new design language set to arrive in the market in 2012. 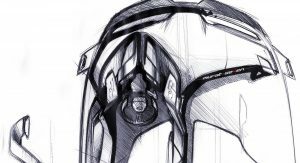 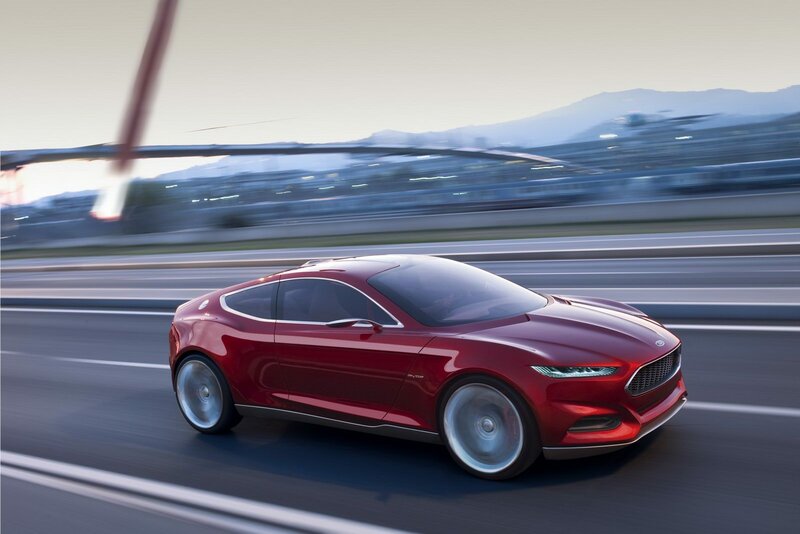 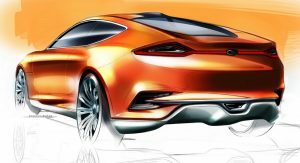 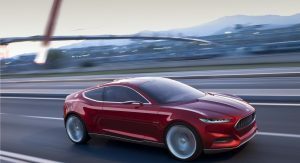 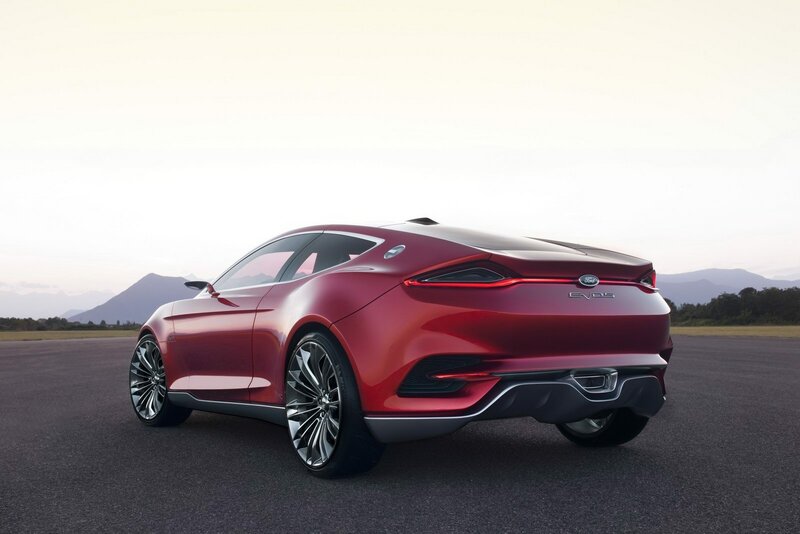 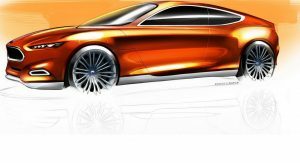 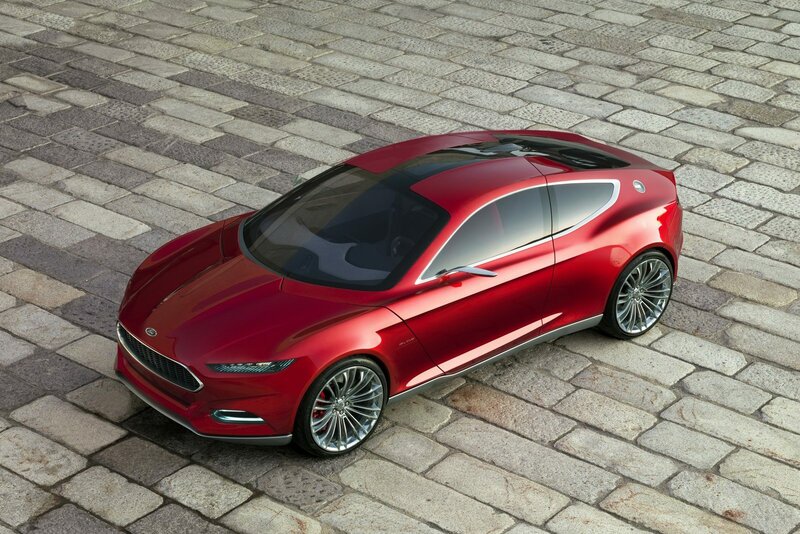 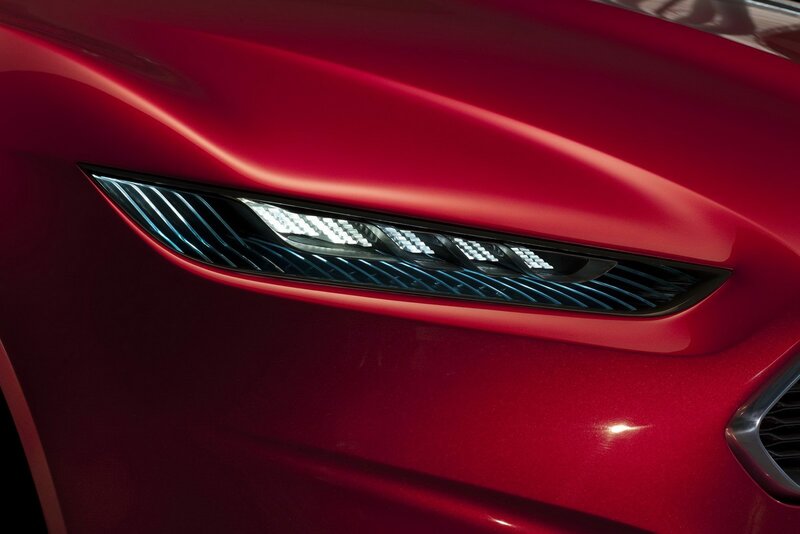 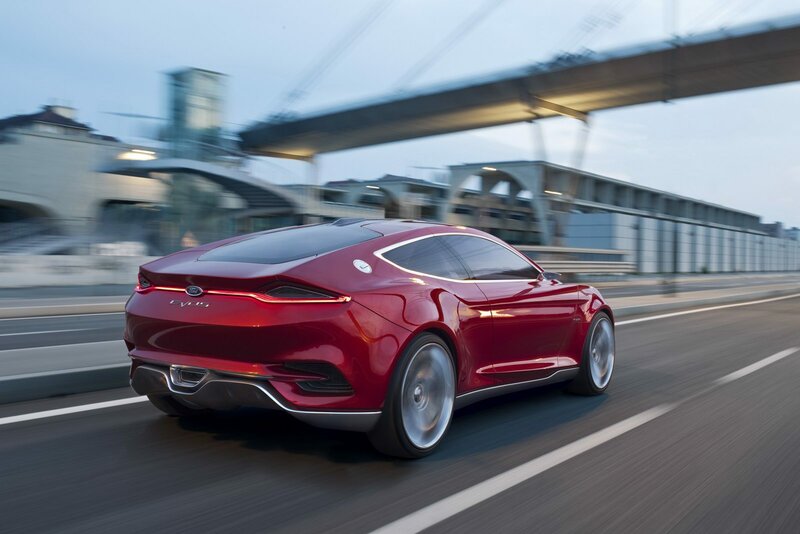 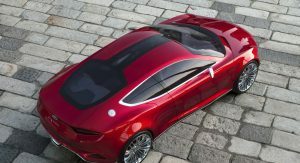 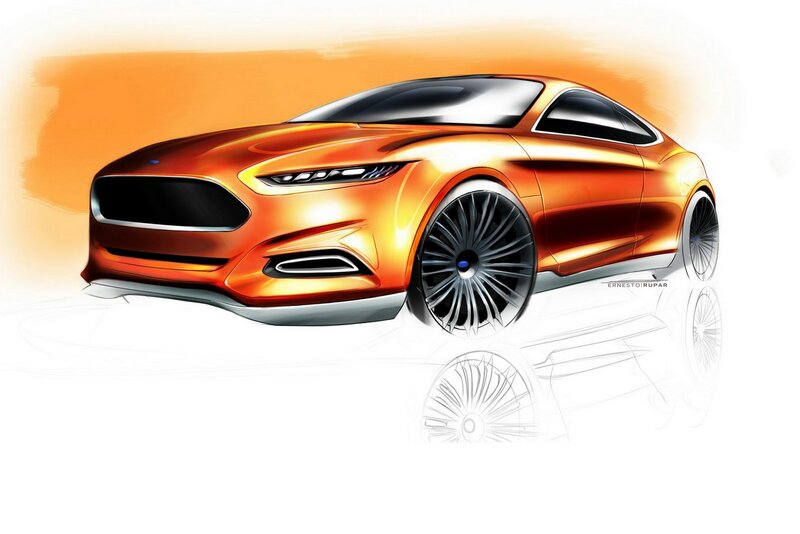 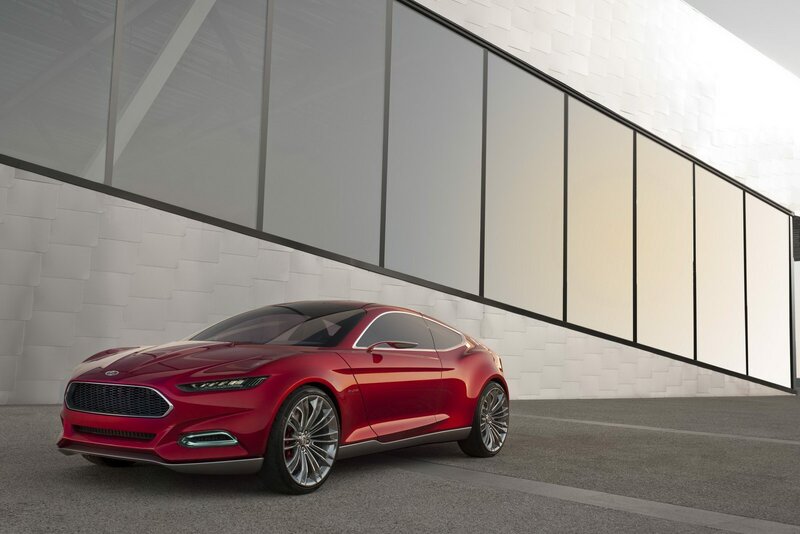 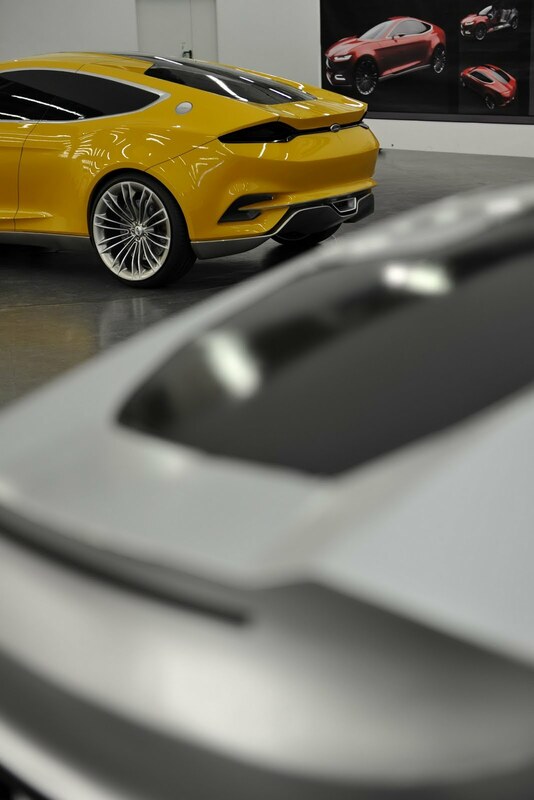 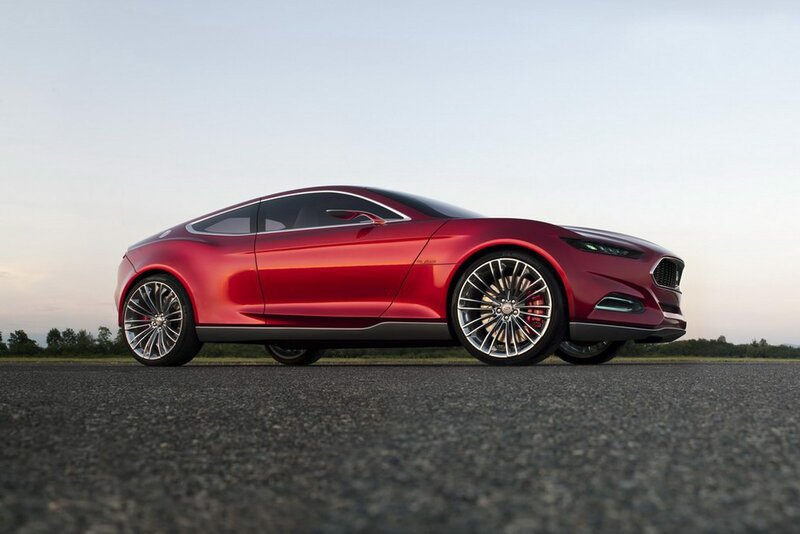 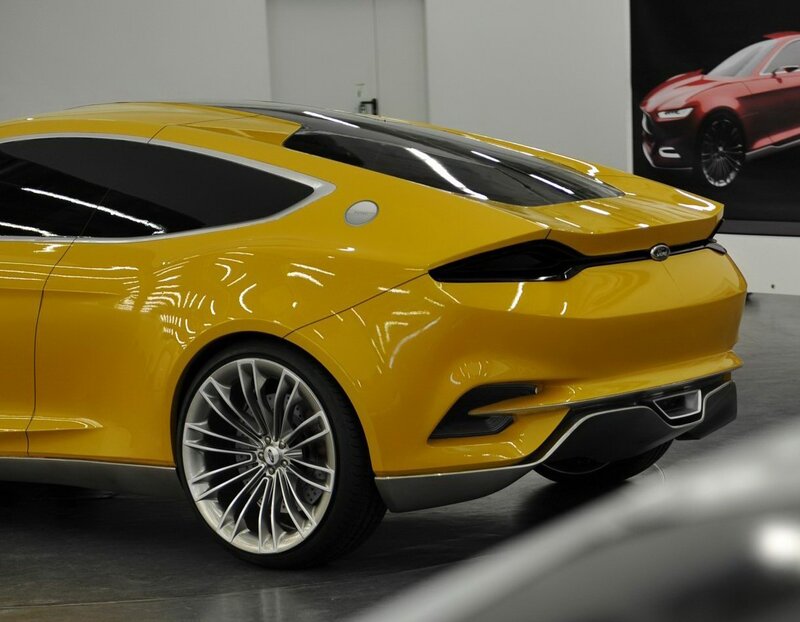 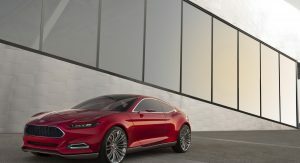 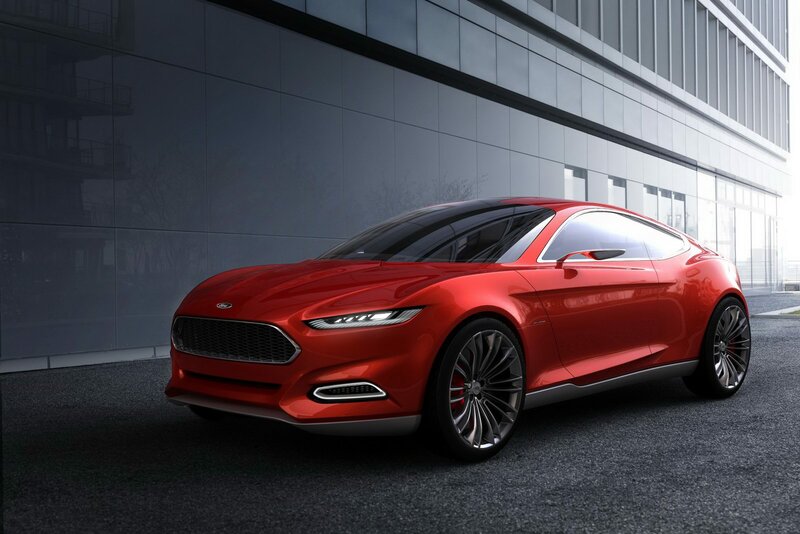 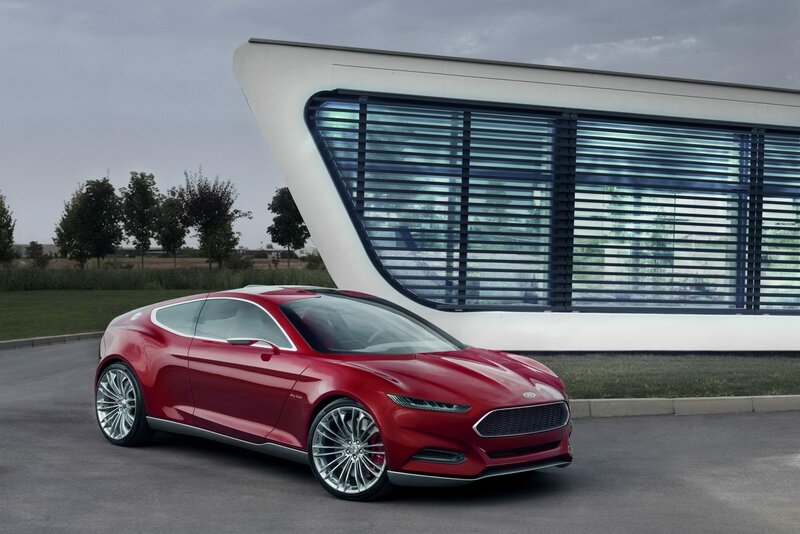 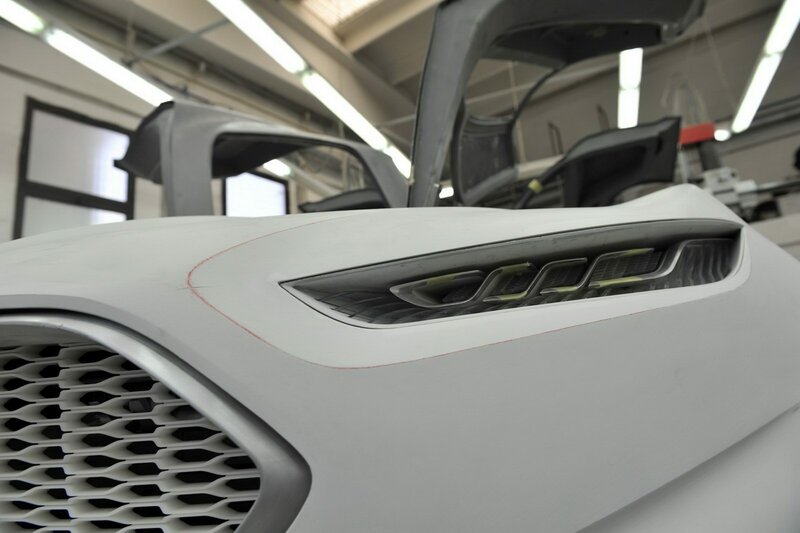 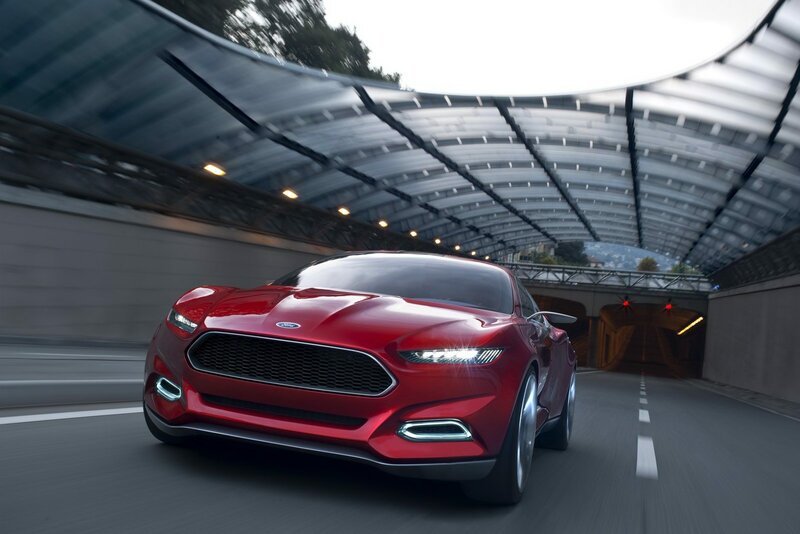 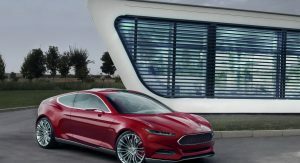 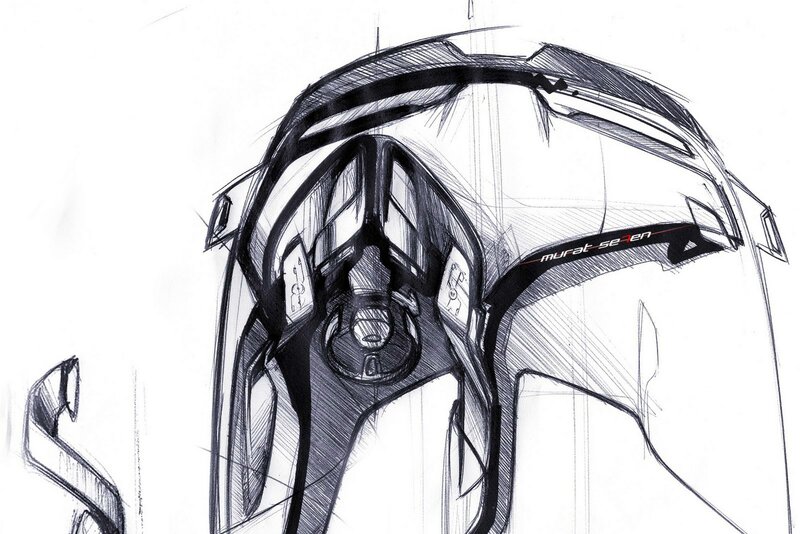 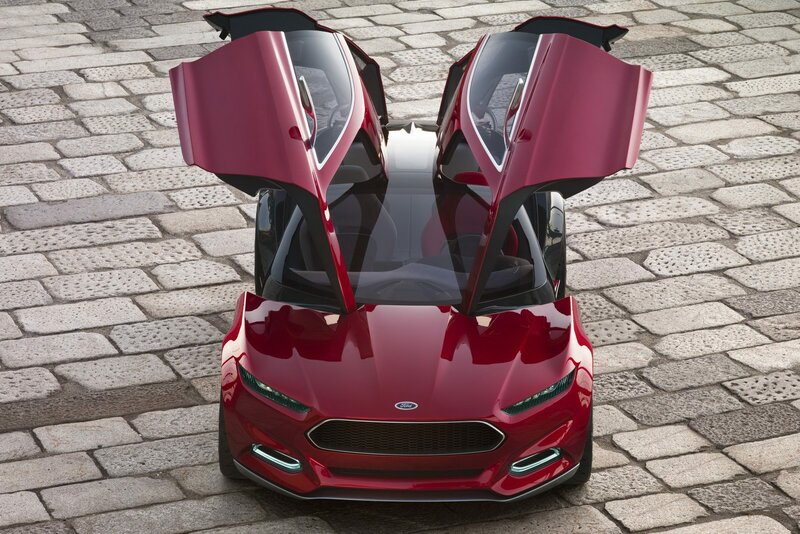 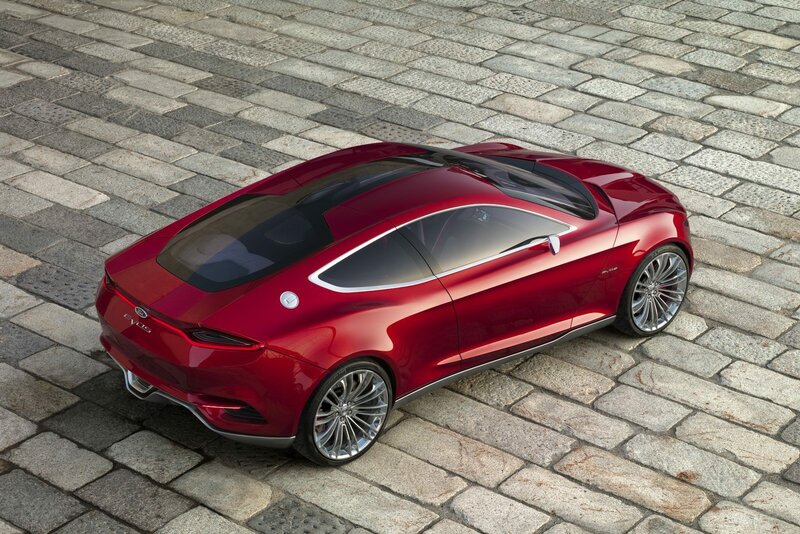 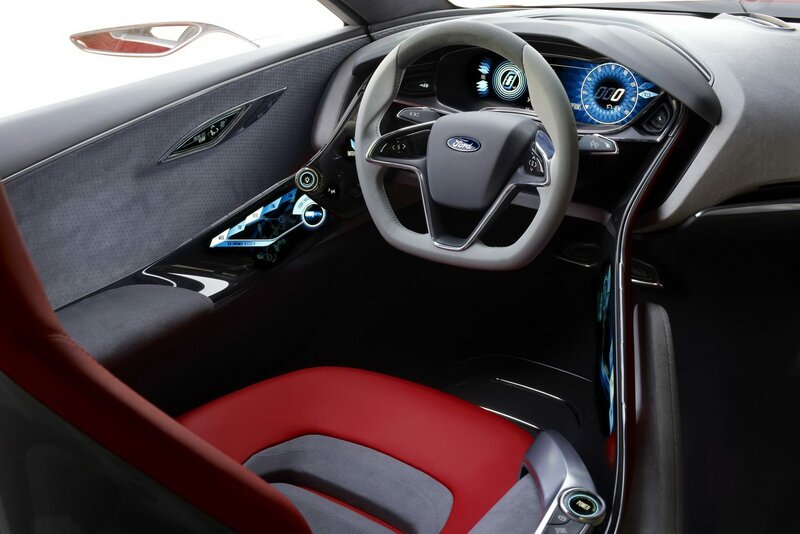 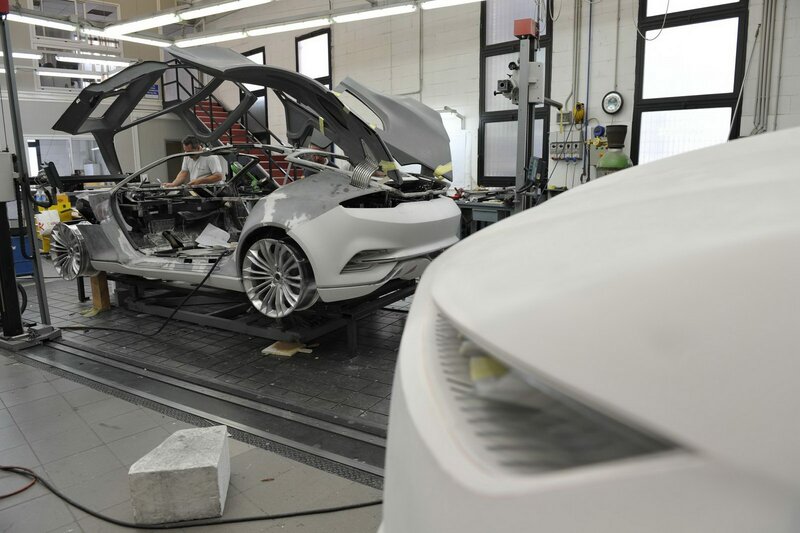 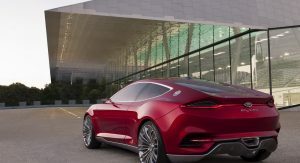 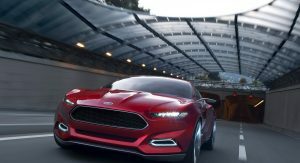 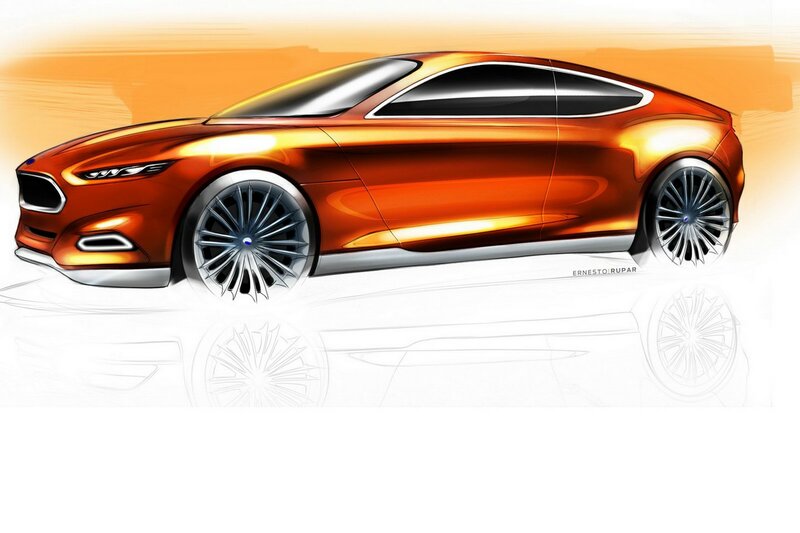 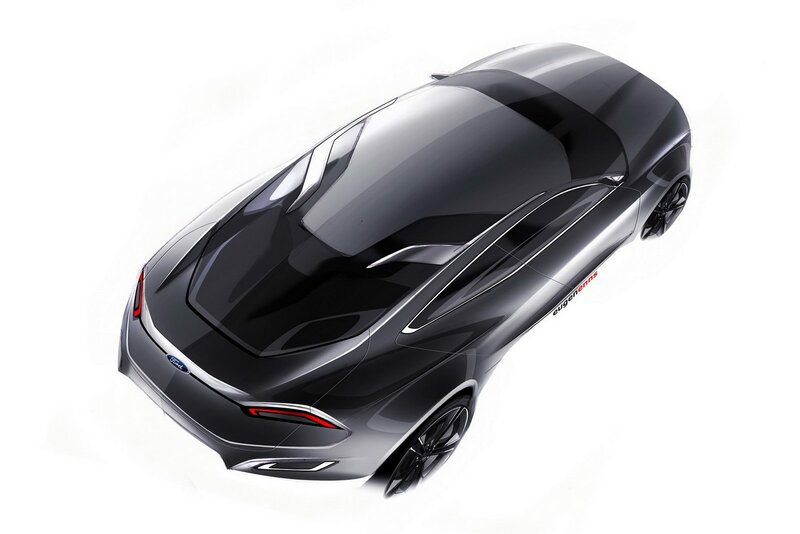 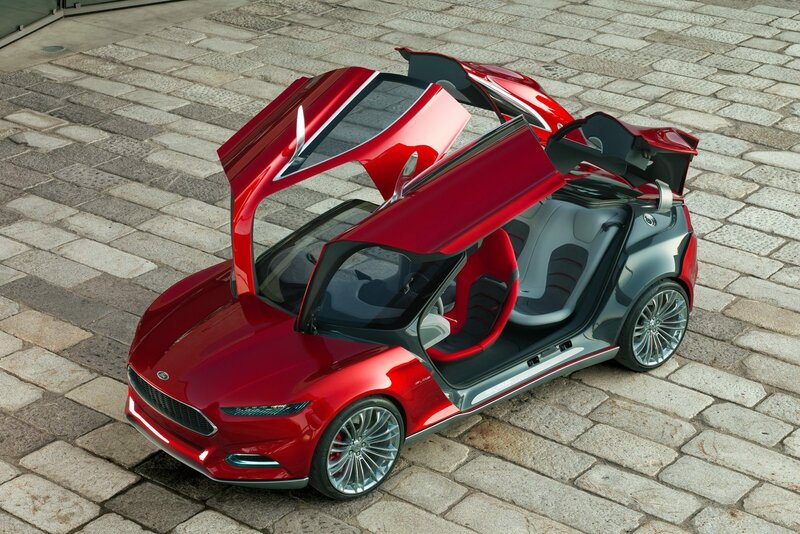 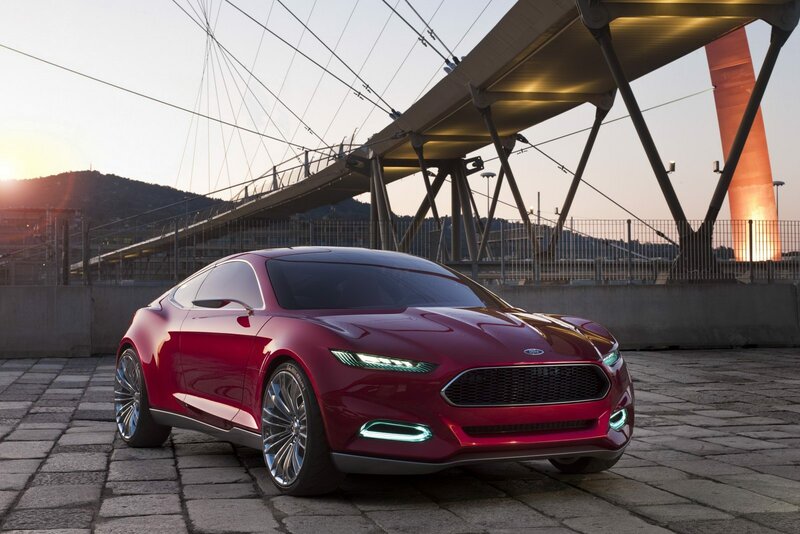 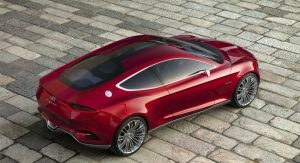 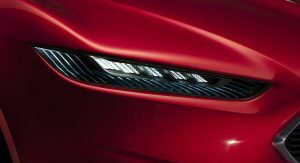 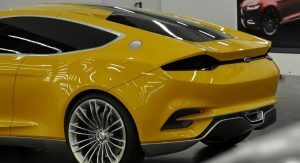 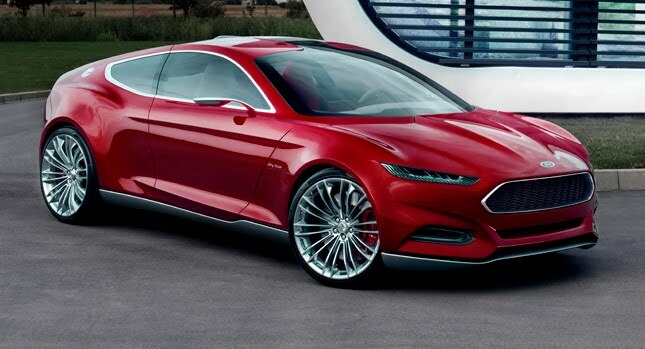 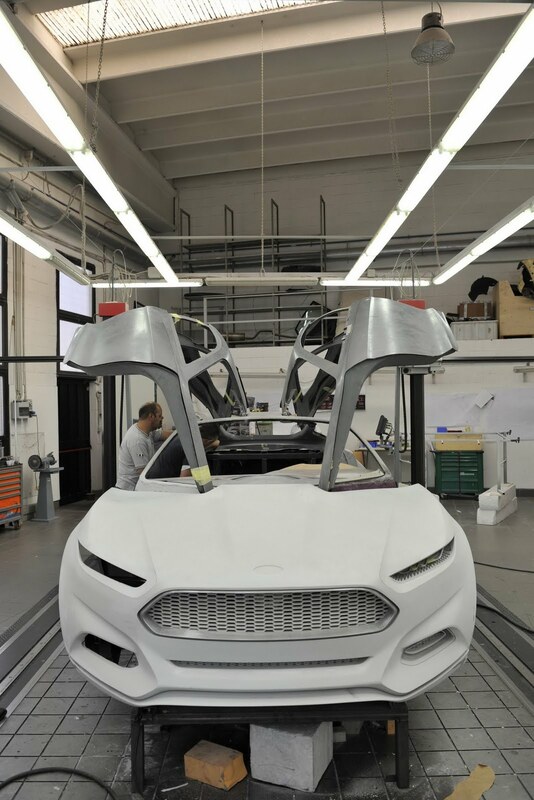 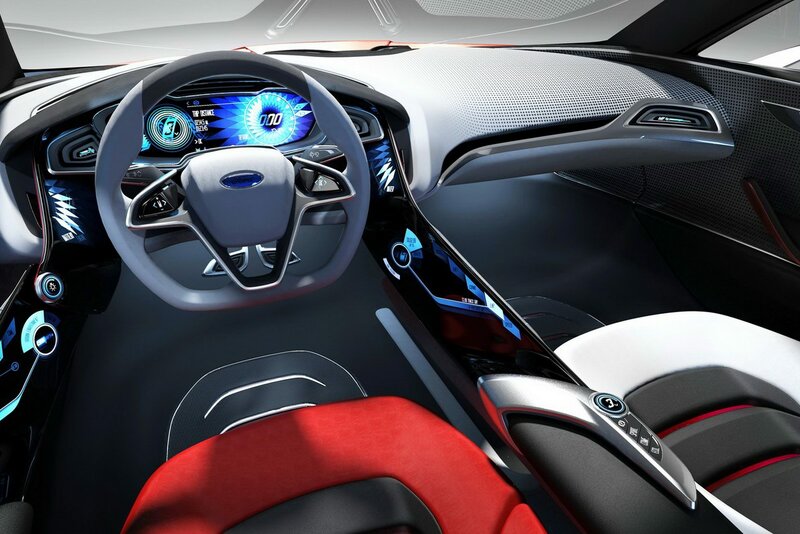 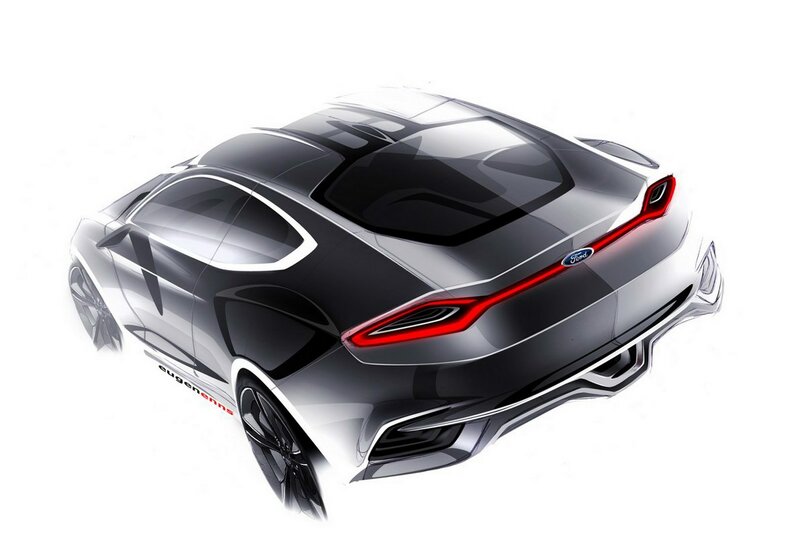 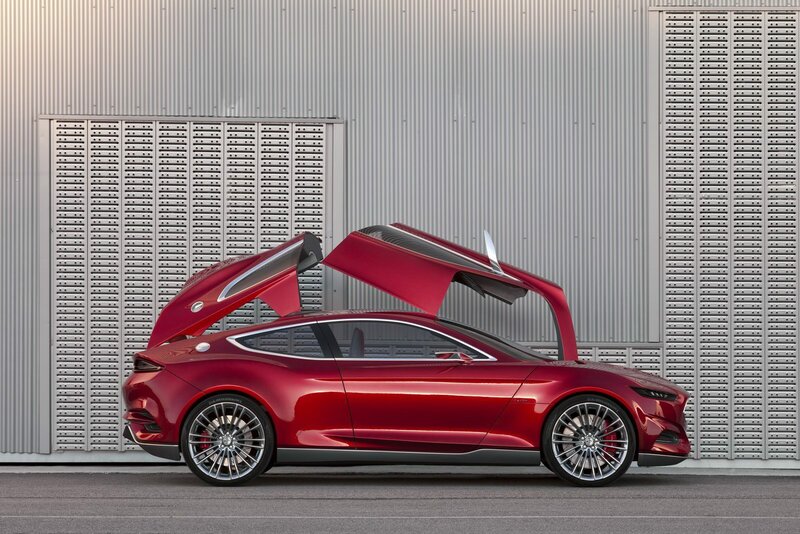 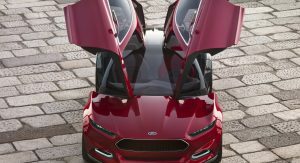 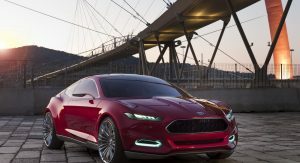 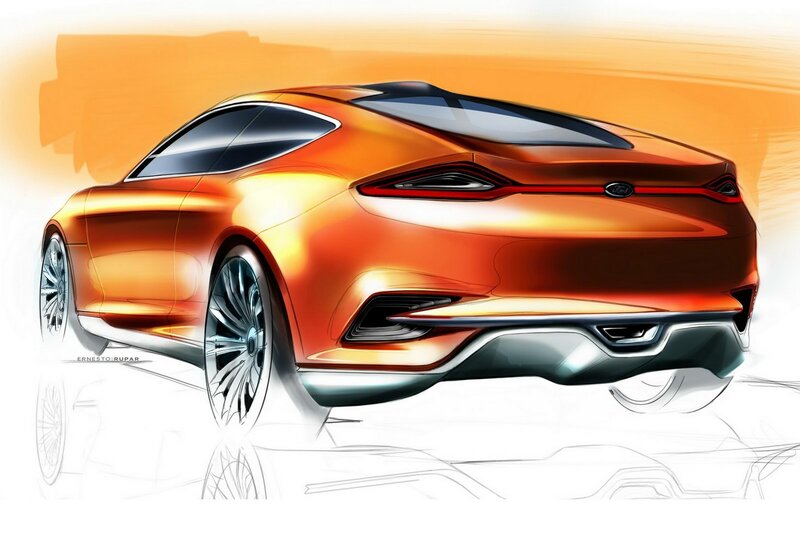 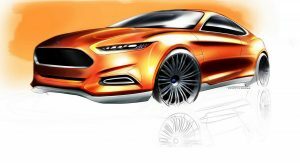 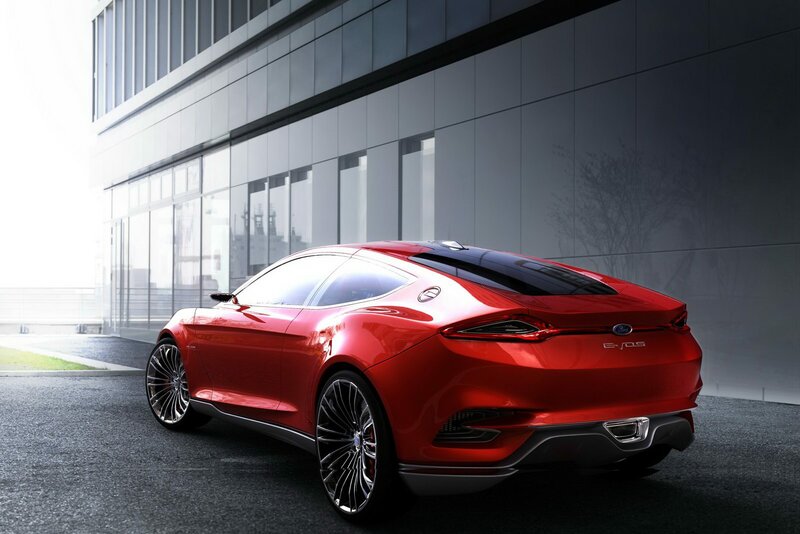 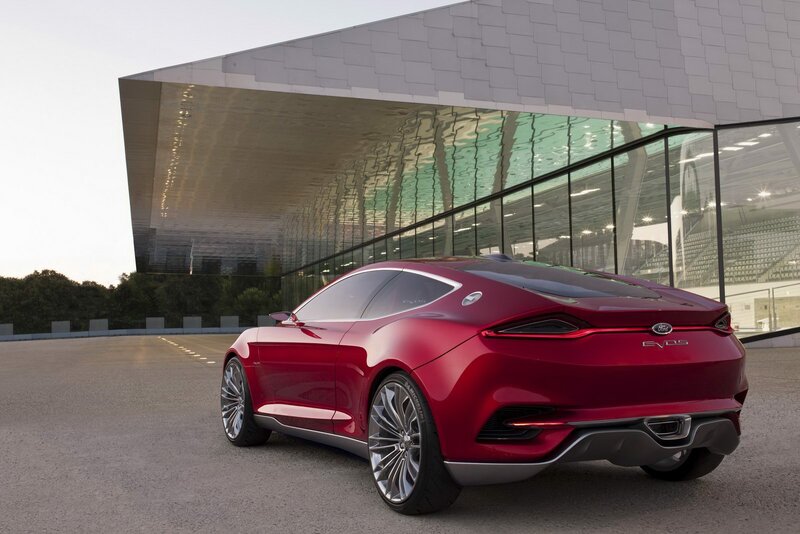 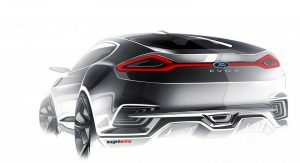 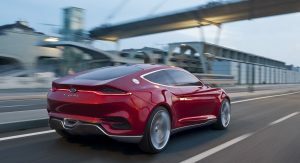 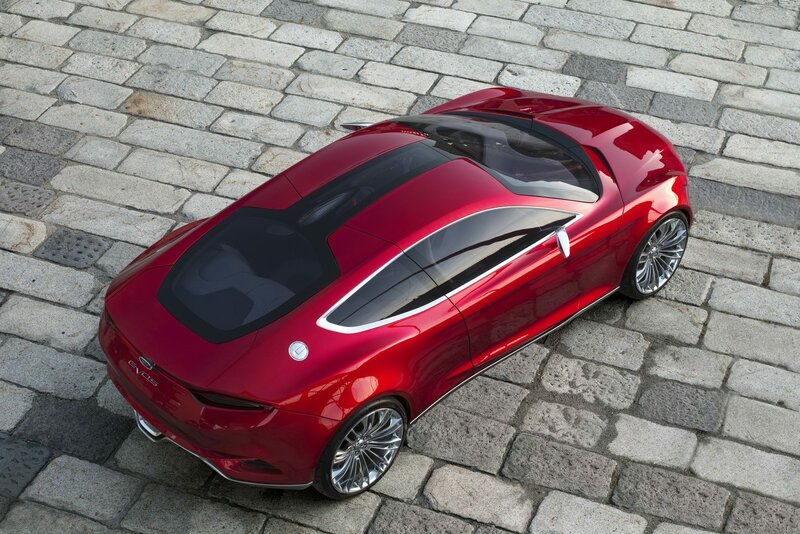 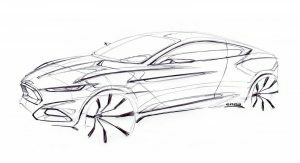 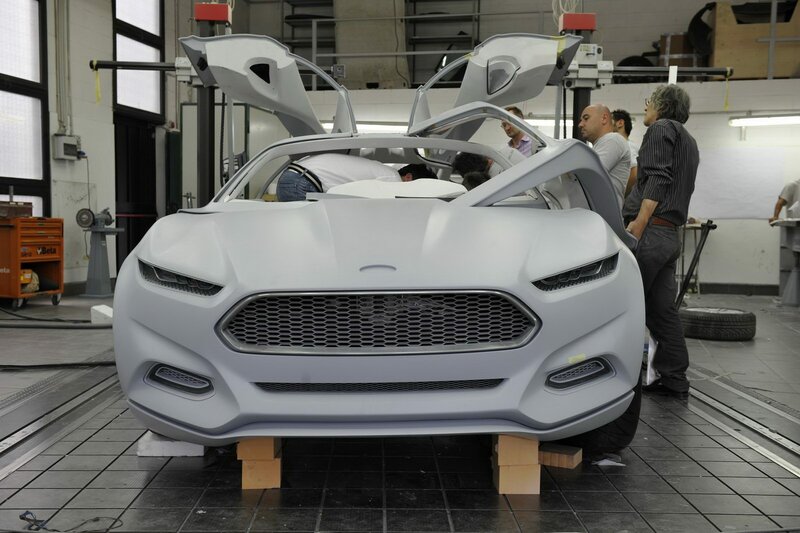 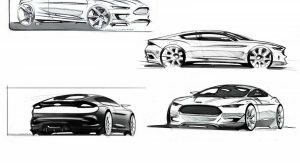 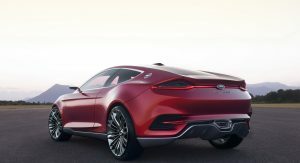 The Detroit company says that the most important element of the new design is the brand new ‘face of Ford’, as in the inverted trapezoid grille that was foreshadowed in the Focus Electric and the new Focus ST. 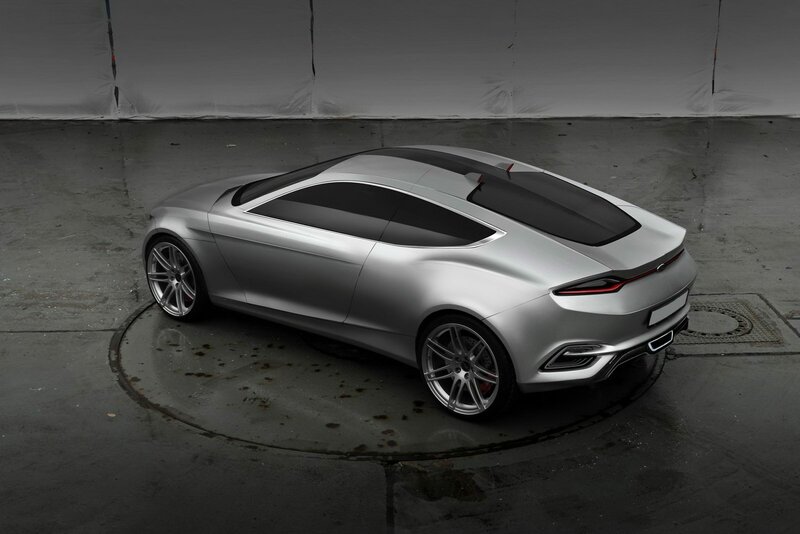 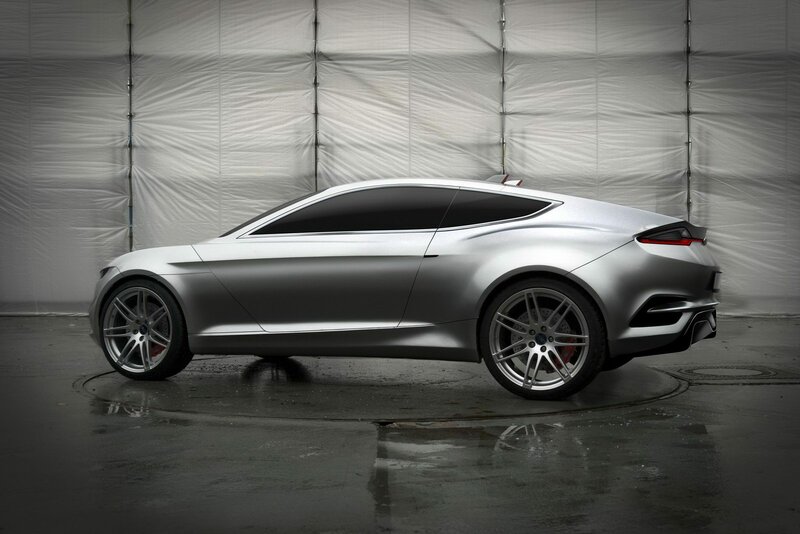 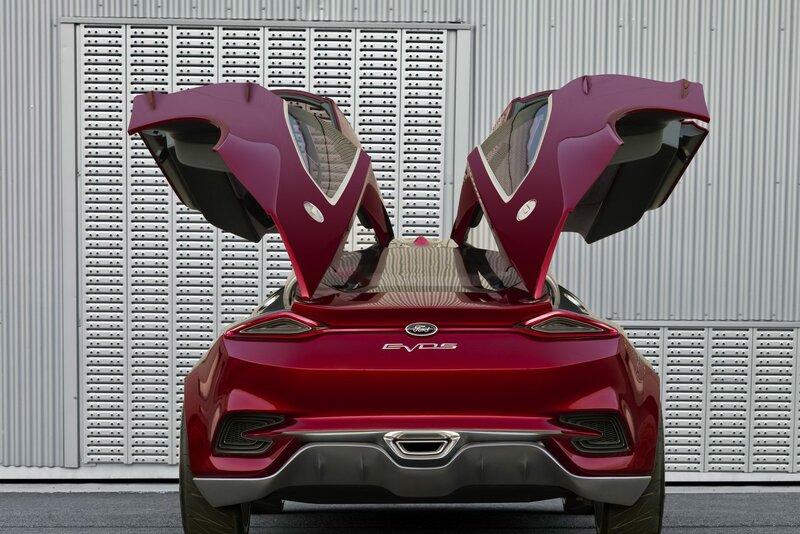 The Evos concept has a fastback body shape which is said to reinforce the models’ driving dynamics and distinguishes it from its competitors. 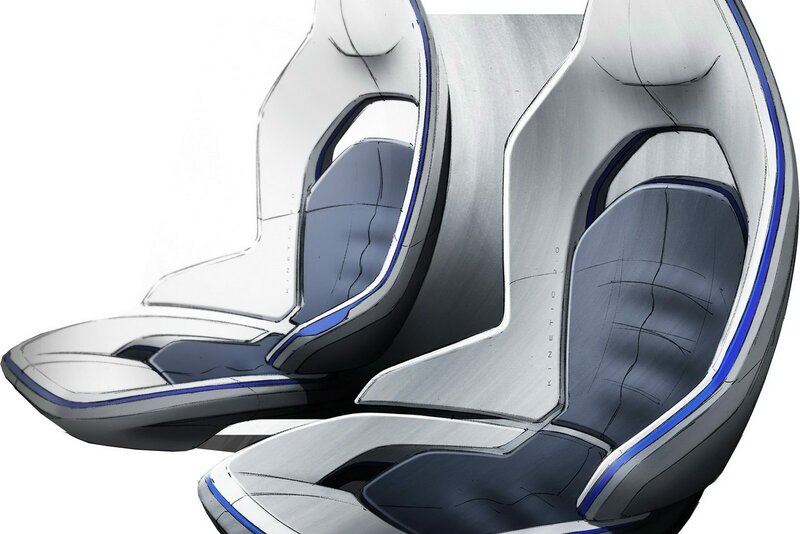 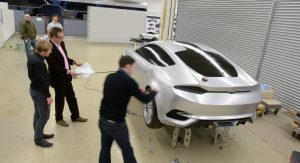 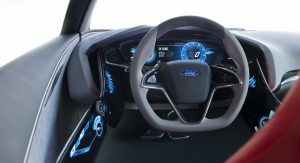 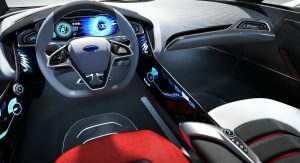 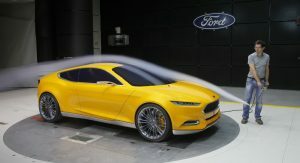 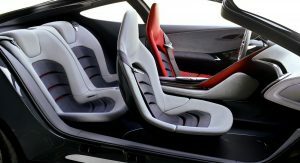 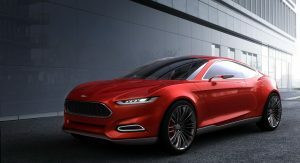 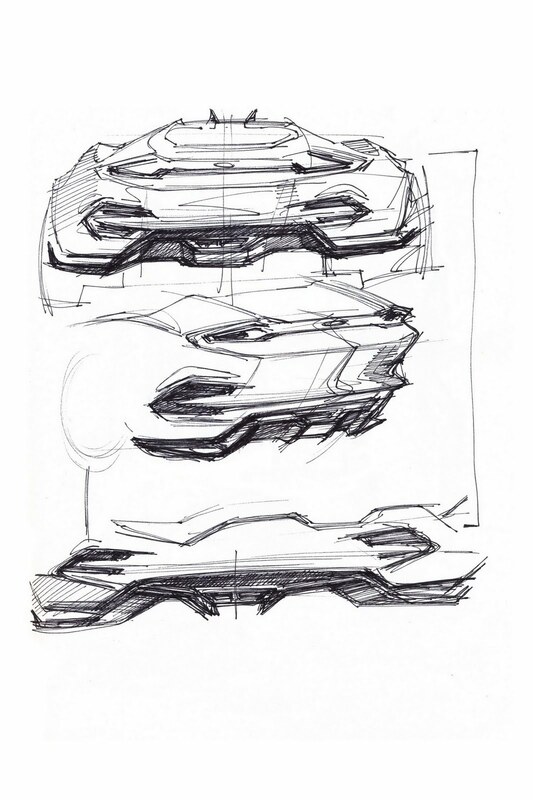 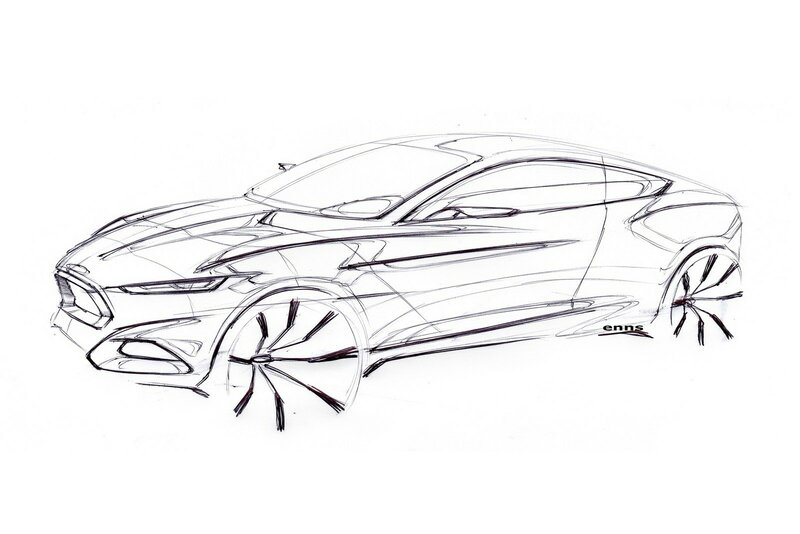 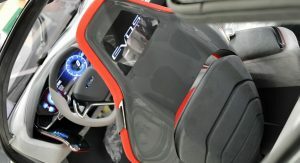 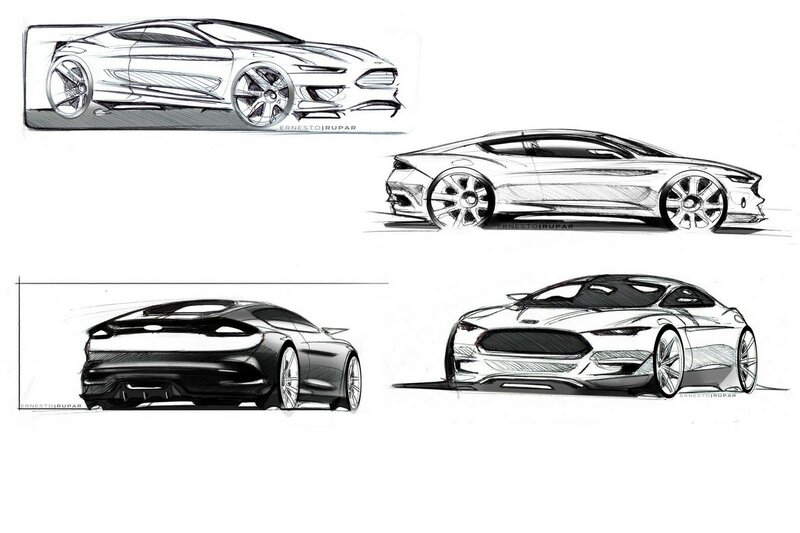 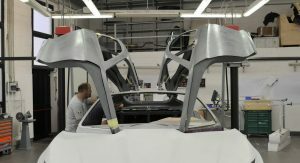 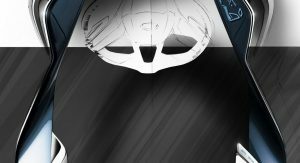 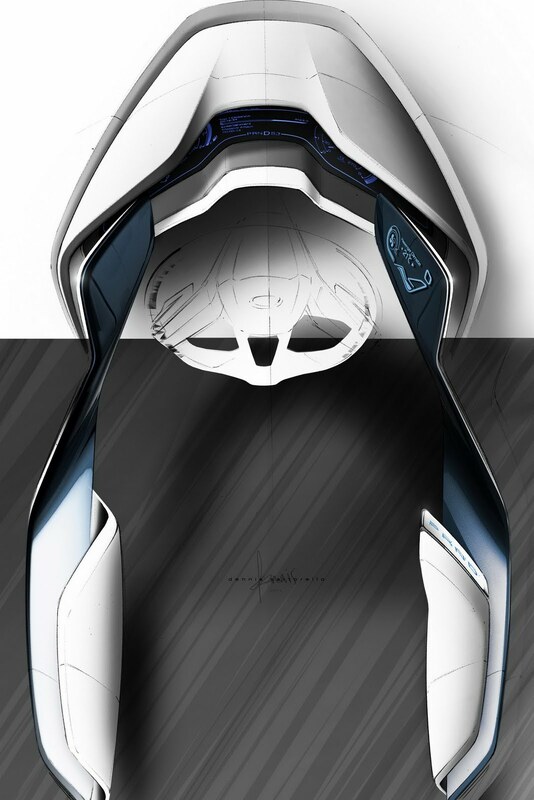 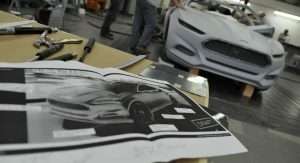 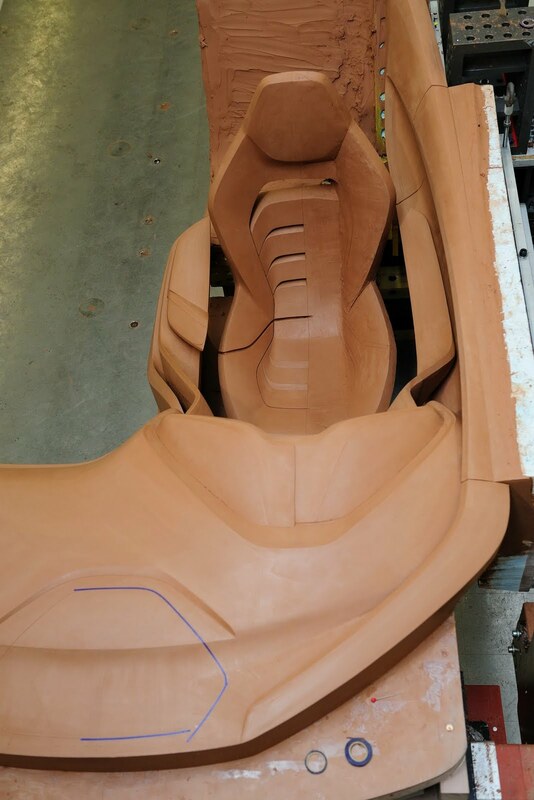 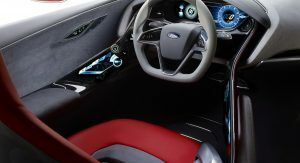 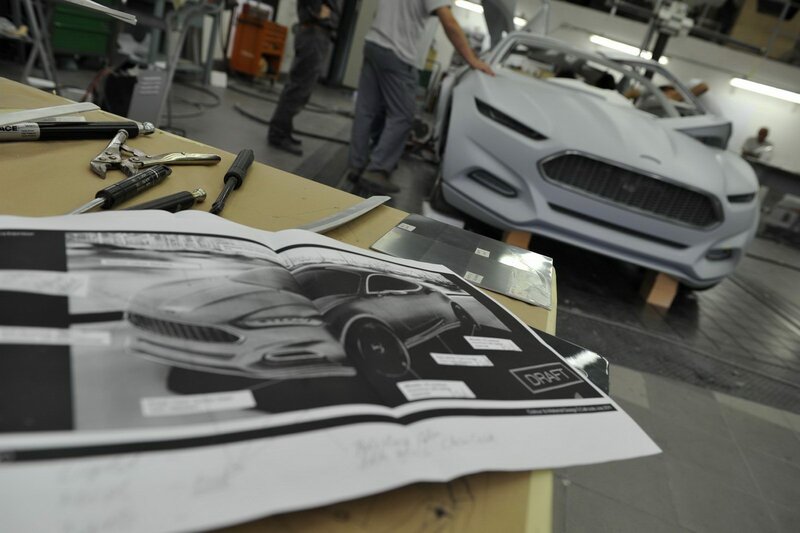 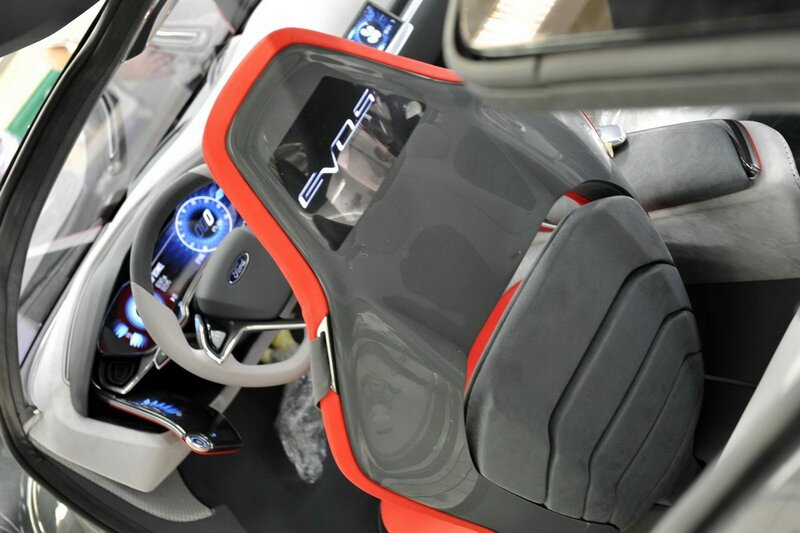 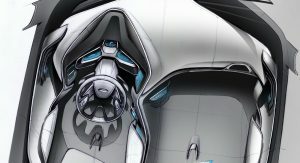 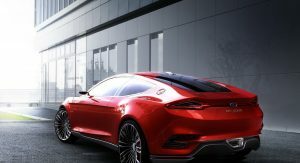 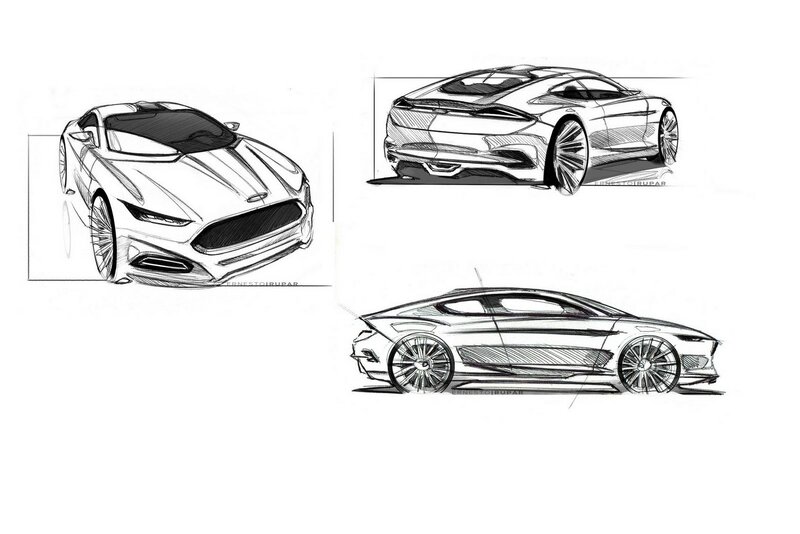 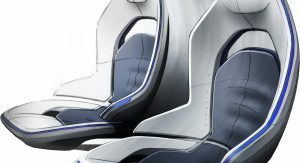 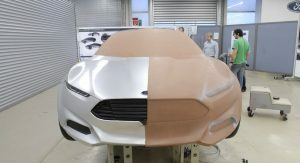 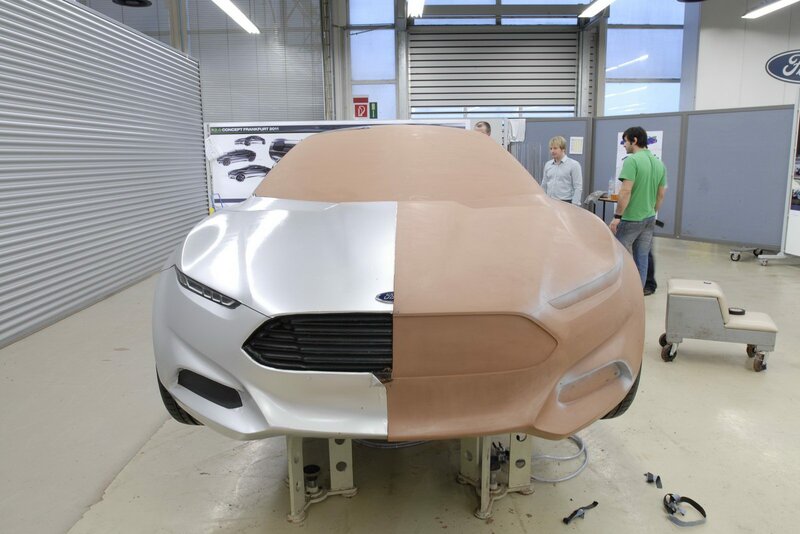 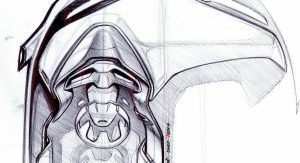 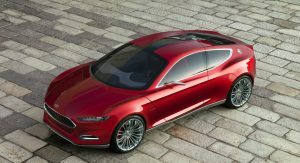 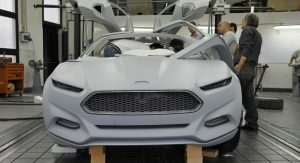 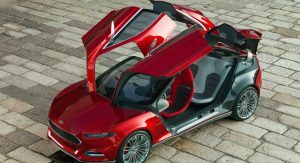 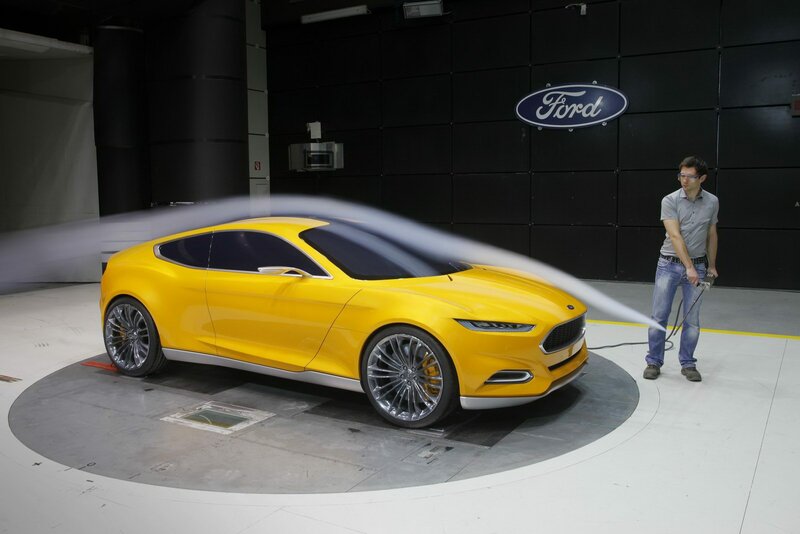 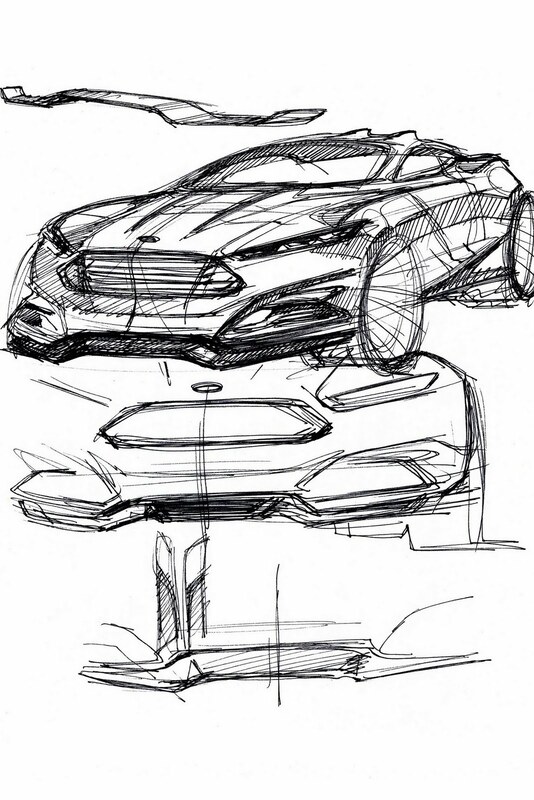 Mays claims that he and his team have evolved the Kinetic Design concept to a simpler approach while at the same time incorporating “the new face of Ford” as shown in the Focus ST and the Focus Electric. 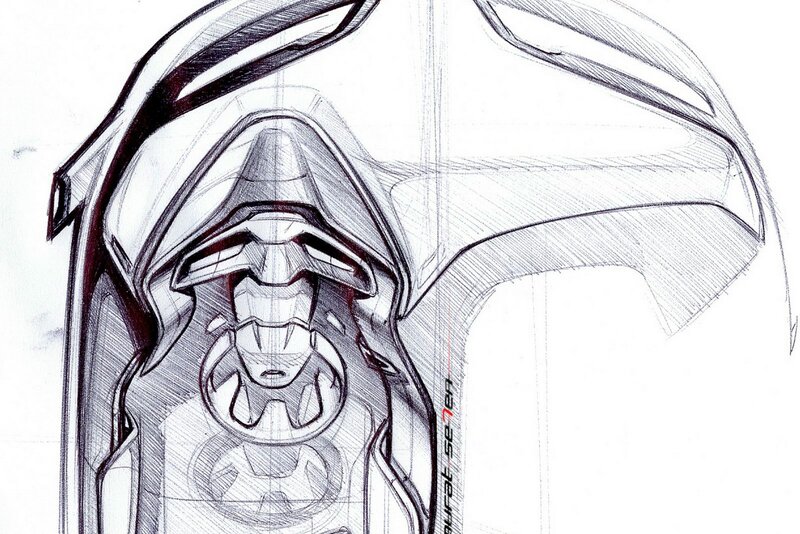 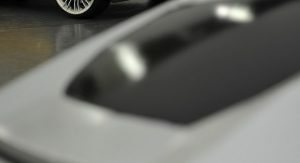 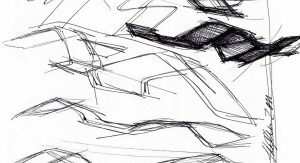 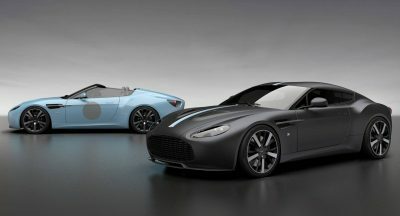 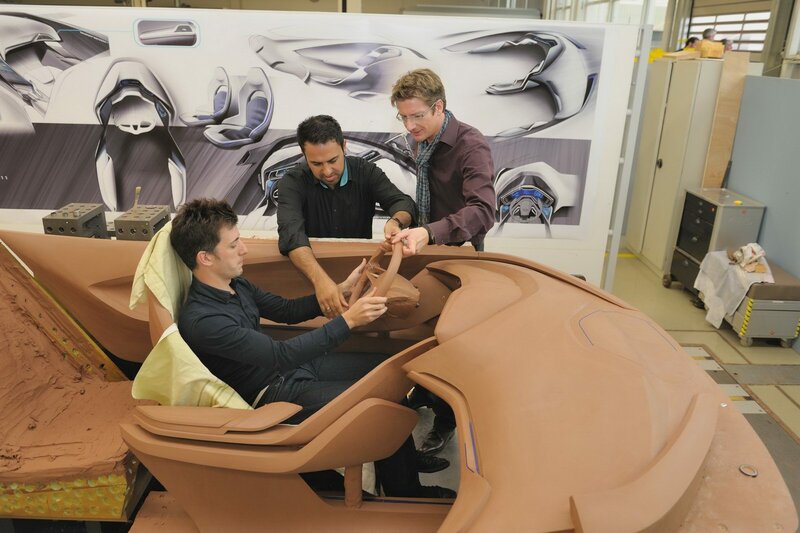 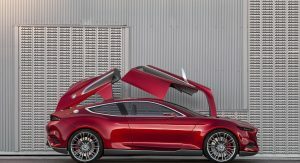 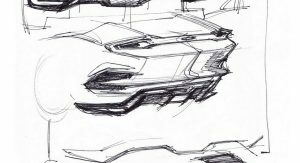 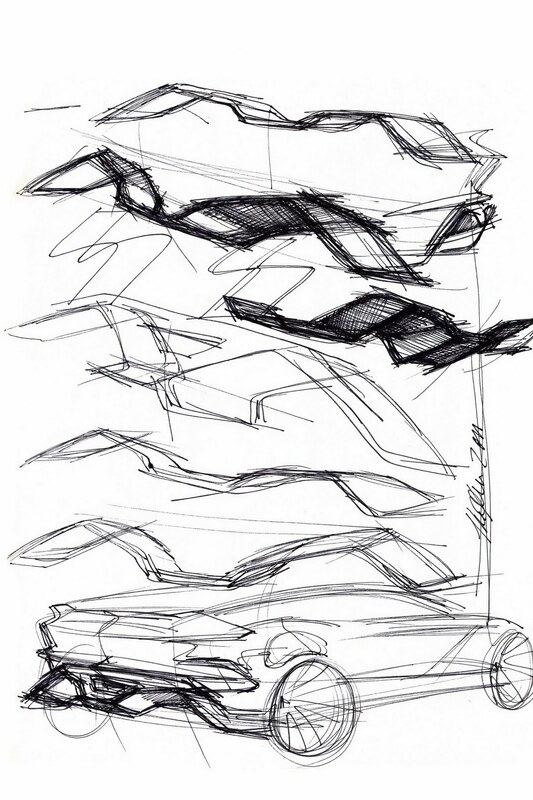 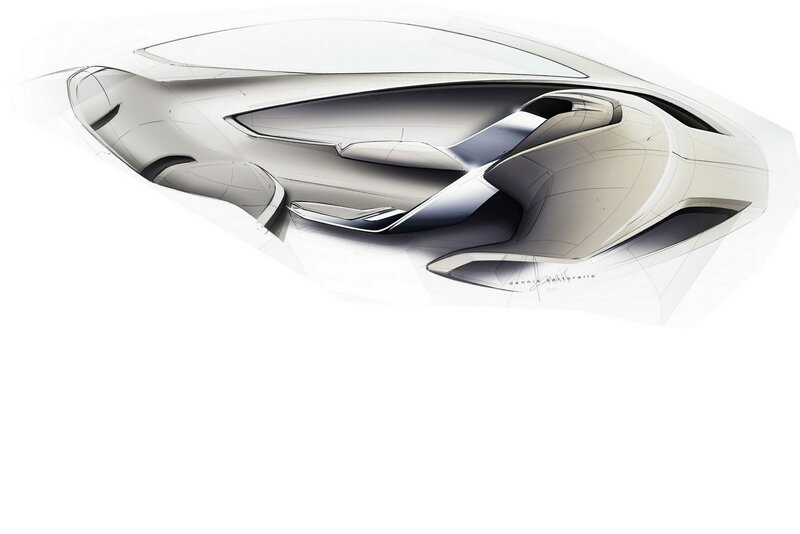 The 2011 theme for concept models seems to be “1,001 ways to open your car’s doors”. 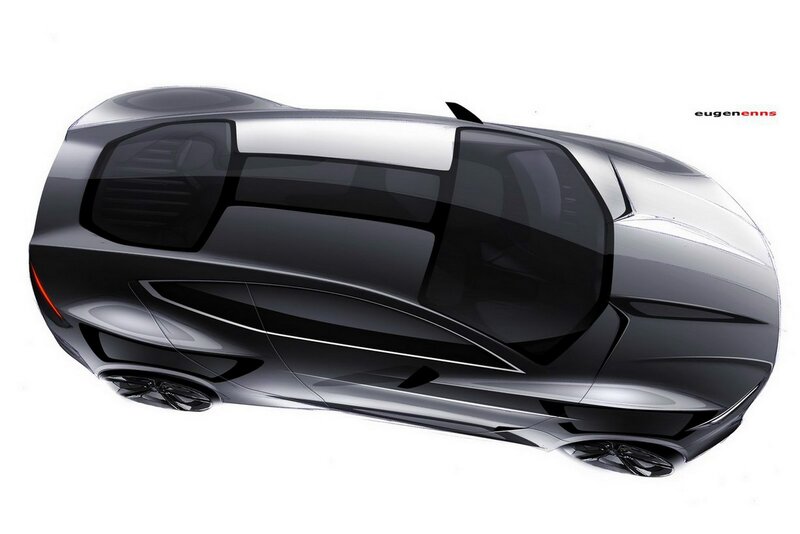 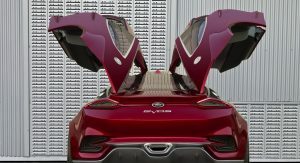 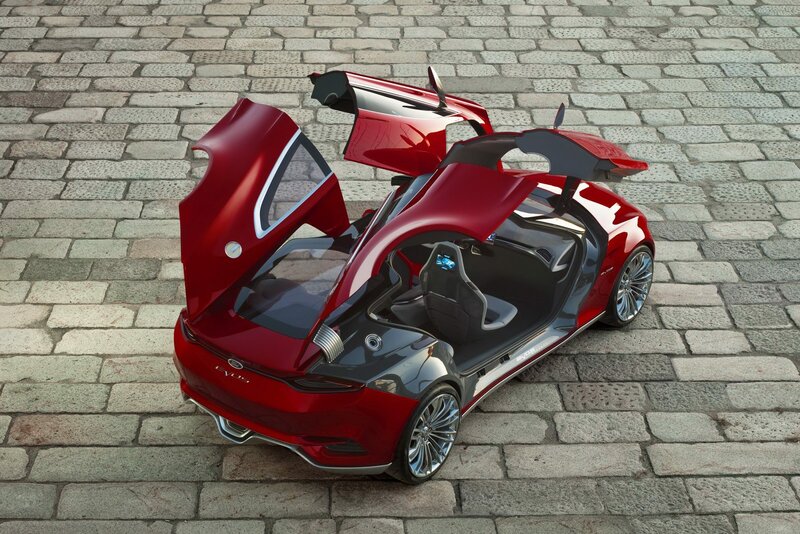 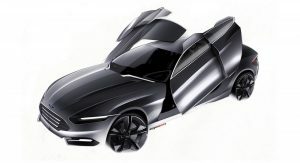 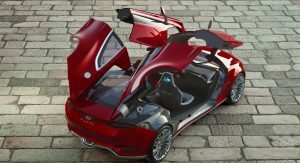 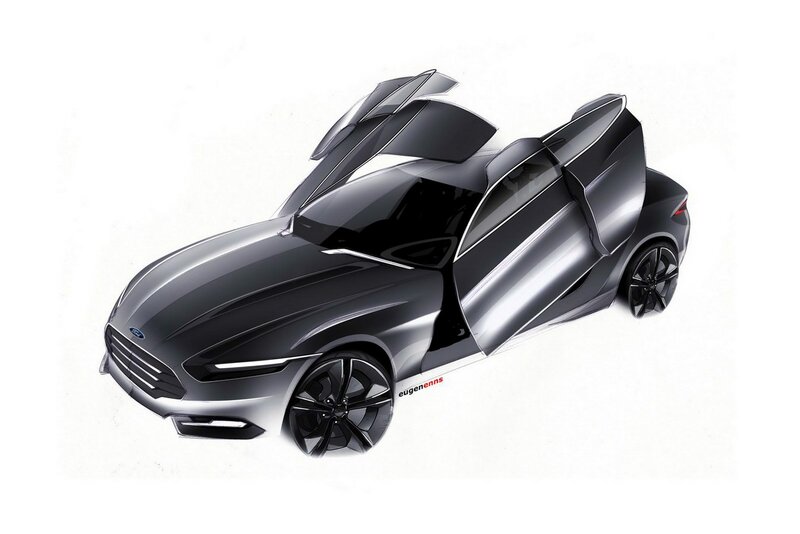 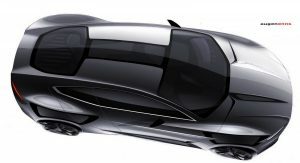 After Peugeot’s HX1 “half-scissor” doors, the Evos sports gullwing-style, upwards opening doors –all four of them, which of course will never make it to production. 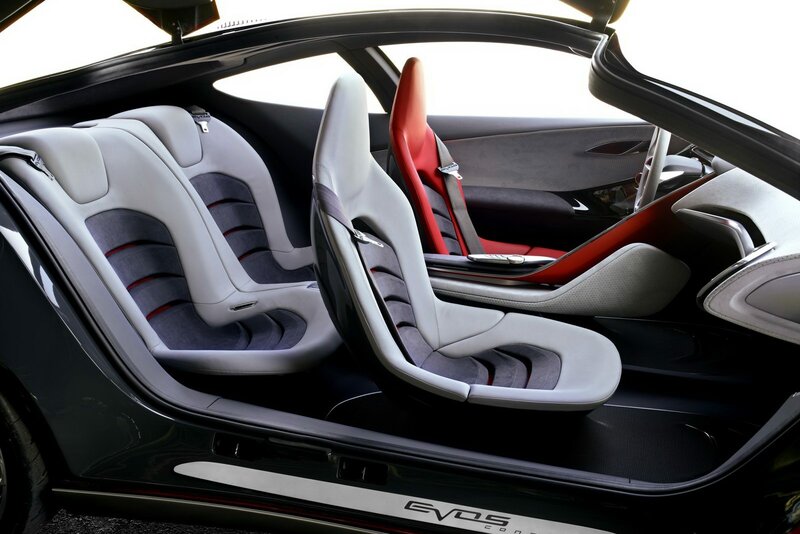 The interior of the Evos is relatively tamer save for the futuristic dashboard. 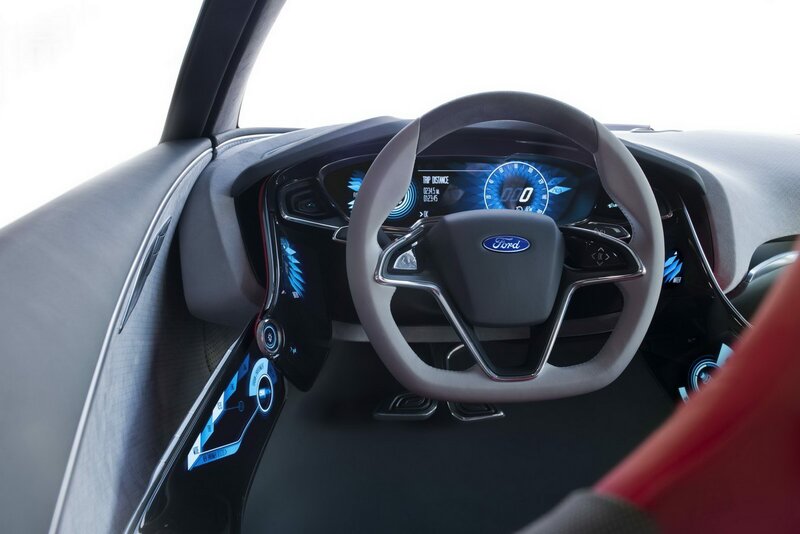 Oddly enough, the steering wheel wouldn’t look out of context in a standard production car. 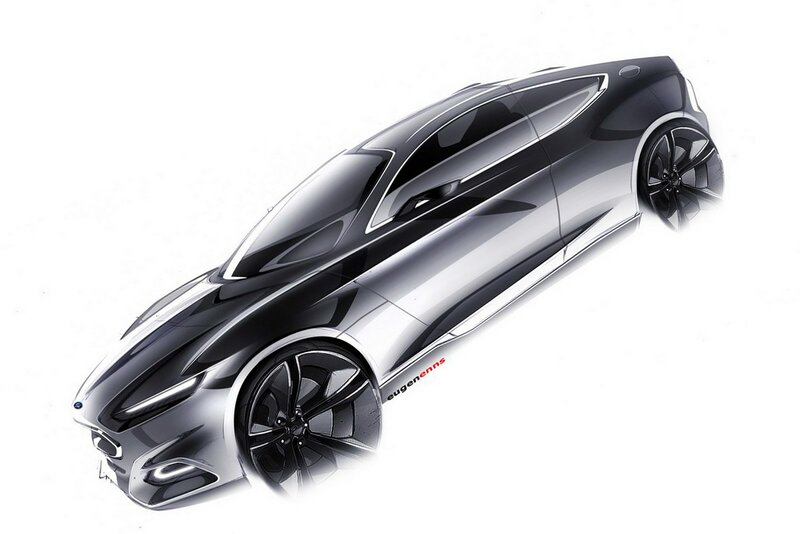 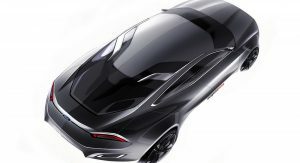 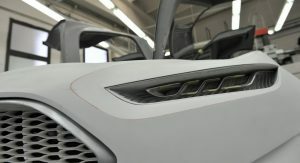 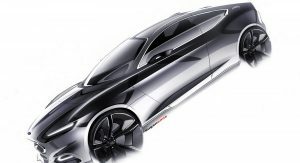 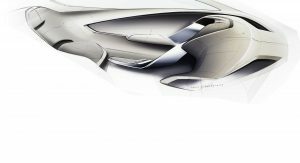 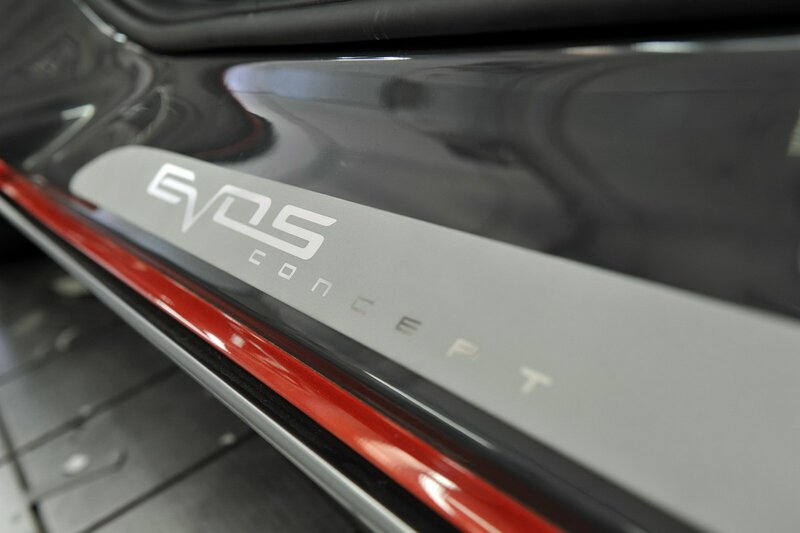 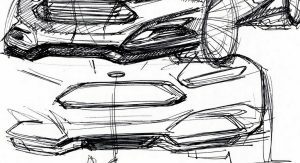 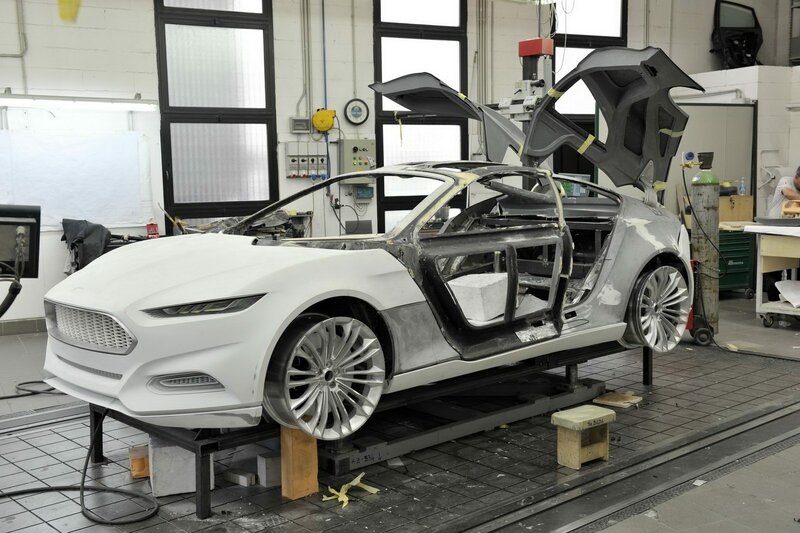 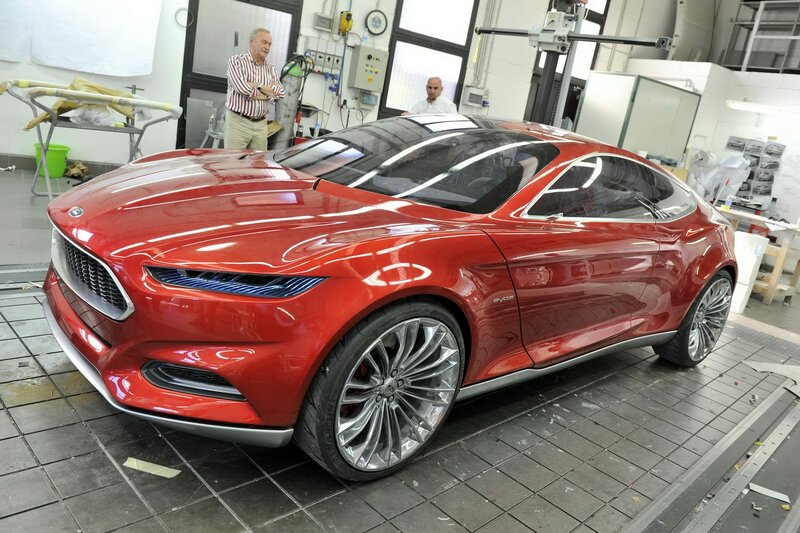 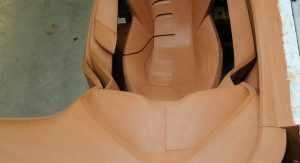 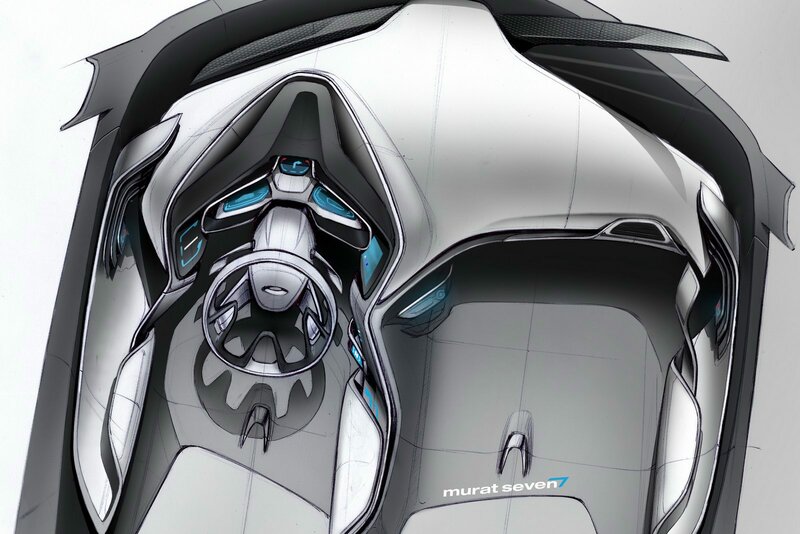 More details on the concept model are to be released at the Frankfurt Motor Show, where the Evos will make its world premiere.